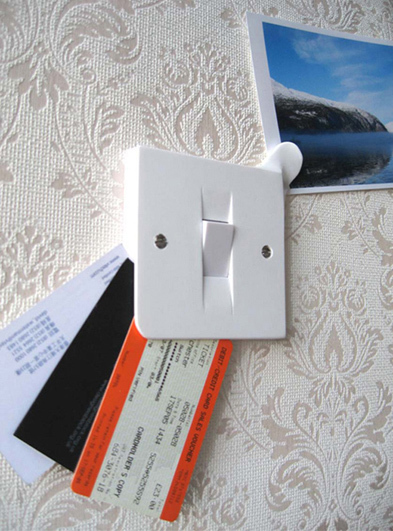 Products designed to encourage a consistent sense of home for a person living a modern nomadic lifestyle. 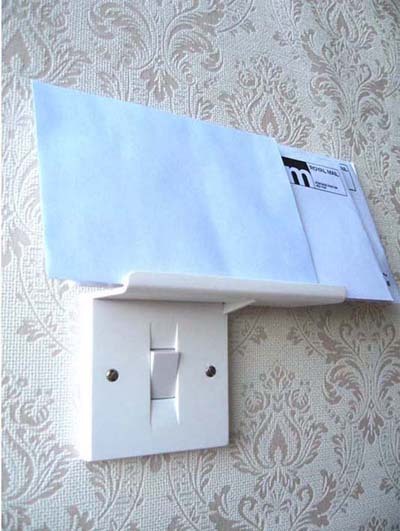 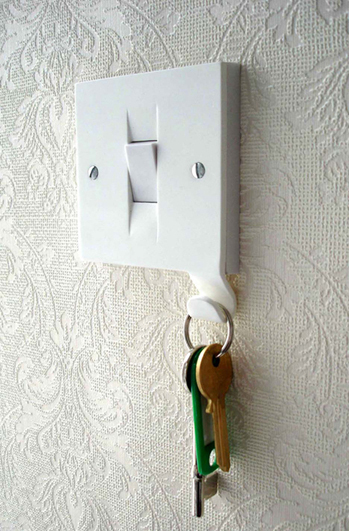 A set of covers that screw on top of light switches (using existing screws from the switch) to facilitate home-making rituals; 'where I put my keys/post/appointments'. 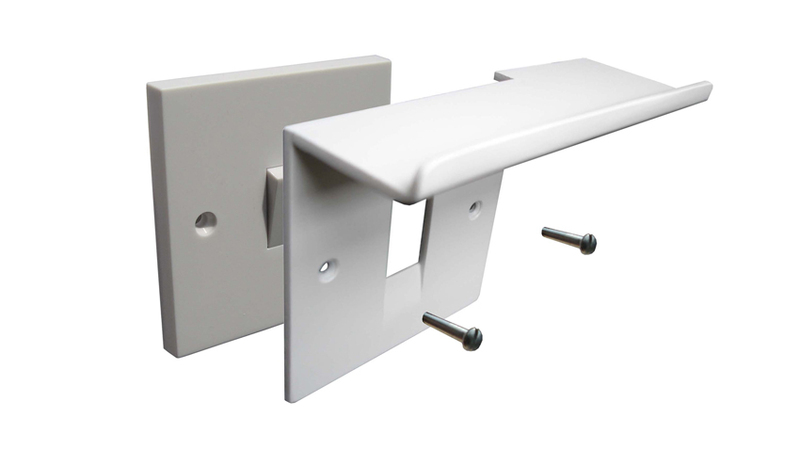 As virtually every house the user moves to will have light switches of standard dimensions, these interactions can be continued in the same way wherever they live, regardless of room size and other changeable factors.